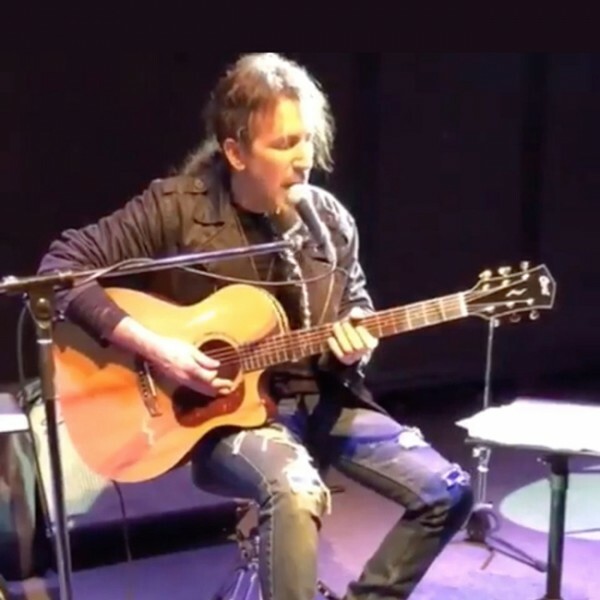 The iconoclastic and versatile guitarist/musician Ron “Bumblefoot” Thal embarked on a short tour of four performances in Japan that started in Tokyo on March 21 and concluded in Nagoya on March 24. The shows on March 22 in Yokohama’s Motion Blue and on March 23 at Musicland Key in Osaka featured Ron performing acoustic solo sets with his Cort Gold A6 acoustic-electric guitar. An accomplished and distinctive vocalist as well as an amazingly innovative world-class guitarist, Ron mesmerized the audience with his profound musicality as well as stunning technical virtuosity. Besides the typical solo acoustic guitar setting, Ron used an array of effects to provide broad colorful soundscapes with a single acoustic guitar, delighting the audience with a variety of sonic textures. The Gold A6 used by Ron is Cort’s top-of-the-line acoustic-electric introduced in 2018 with all-solid construction and Torrefied Spruce top and UV finish for that old broken-in vintage resonance and sonic character. The Gold A6’s 45mm (1 ¾”) nut width is ideal for fingerpicking techniques and this model also features Fishman’s Flex Blend preamp that facilitates the use of both the piezo pickup and an internal microphone and the ability to blend the two sounds for an optimum amplified acoustic sound. This blend function is a feature that Ron uses during live performance.